Governor Rick Scott announced that Florida set another record by welcoming the highest number of quarterly visitors in the state’s history with 31.1 million visitors in the first quarter of 2017. This represents a 2.5 percent increase over the same period in 2016. Lower gas prices have fueled record-breaking domestic travel to Florida. VISIT FLORIDA estimates that a record 27.1 million domestic visitors traveled to Florida in Q1 2017, reflecting a 3.2 percent increase over the same period last year. 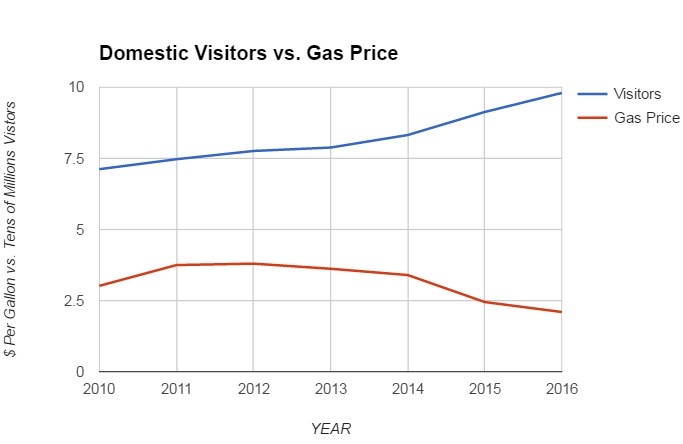 But a strong U.S. dollar has continued to stifle visitor growth from Canada and overseas since 2013. Estimates also show that 2.7 million overseas visitors and 1.3 million Canadians came to the Sunshine State in January-March 2017, unchanged from the first quarter of last year. Instead of addressing the impact of economic factors such as fuel prices and currency exchange rates on tourism in the Sunshine State, Governor Scott took another swipe at the Florida Legislature for defunding VISIT FLORIDA.